Road Trip USA: Animals of the United States! Hi everyone! 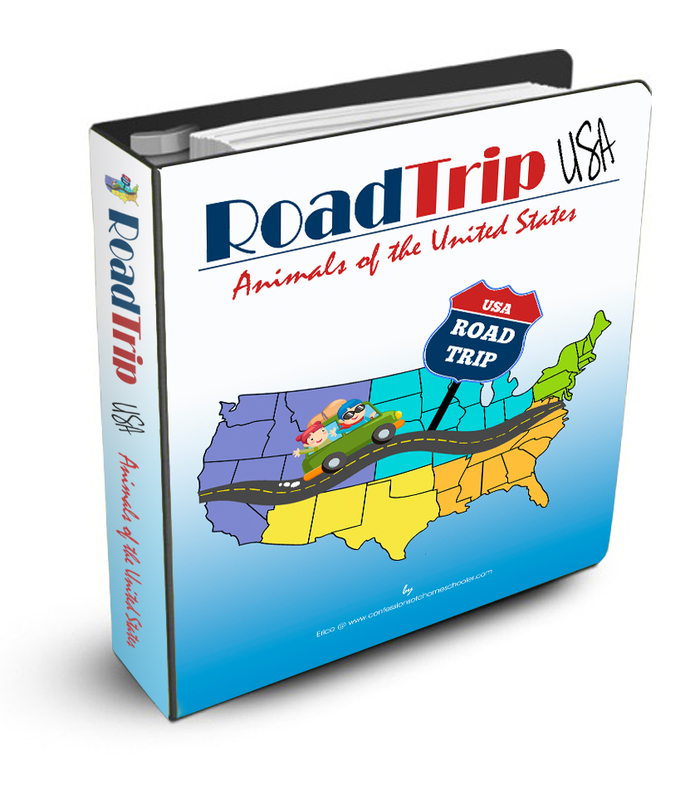 I am excited to share a fun addition to my Road Trip USA United States Geography curriculum called Animals of the United States! Best part is that it’s FREE! YAY! As many of you know, we did a HUGE animal wall last year with our Expedition Earth World Geography curriculum, and this year as soon as we started going through our Road Trip USA curriculum, my kids were asking for animal cards! I thought it would be a fun addition since we had such a great time learning all of our world animals last year, so I put one together. The animal cards are colorful 3”x3” cards that have the name of each animal on the front. Since many states claim the same animals as their symbols, I grouped them by region. The animals are listed in alphabetical order in the region in which they first appear in my Road Trip USA curriculum. There are not duplicates of animals that are claimed by more than one state, you’ll just refer to them on the animal wall if they’re repeated. 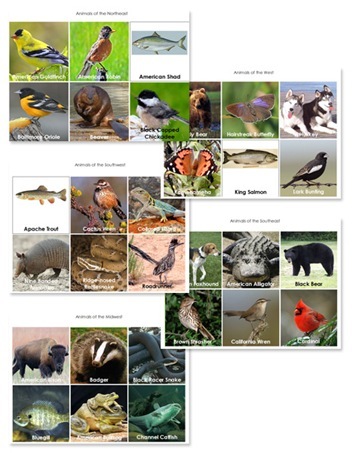 There aren’t any lesson plans with this download, just the animal cards by region. 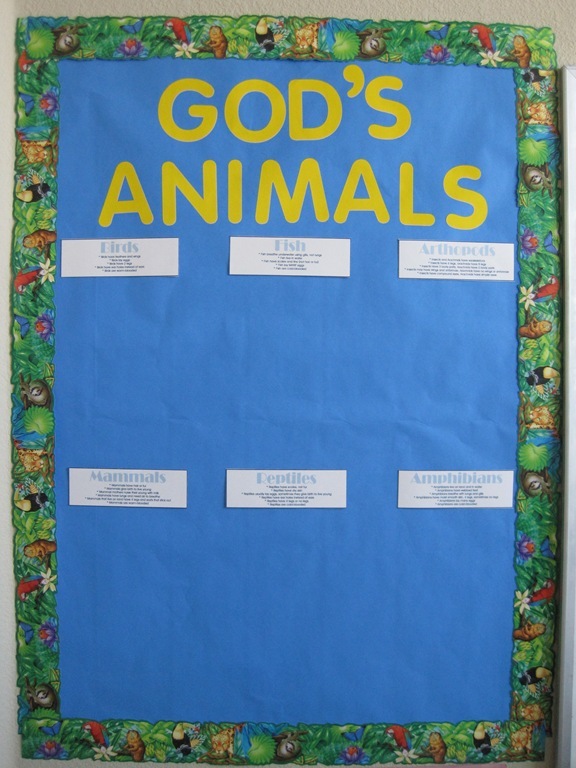 The animal cards are referred to in my Road Trip USA Curriculum so you’ll know when to add them to the wall each week. If you’d like to add the animal study to Road Trip USA, or another United States Geography curriculum, click the link below to download! Tip: If the link above is not opening automatically in your browser, RIGHT click on it and select “SAVE LINK AS”. You will then be directed to copy the .pdf file to your computer. Hope you enjoying learning about the Animals of the United States! We will be starting our Road Trip in a few weeks and I know the kids are going to love this addition. The pictures are so beautiful! Thank you so much!!! Thank you so much! 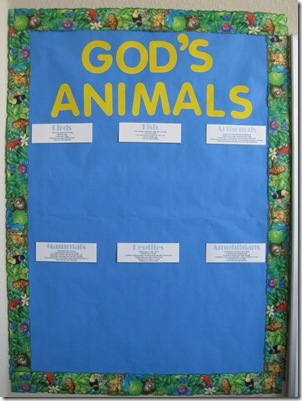 I love the bulletin board idea.